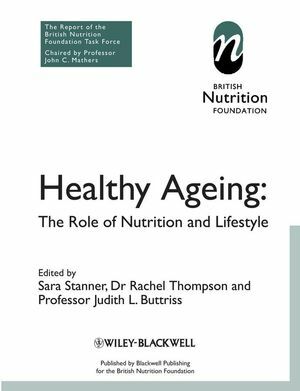 This extremely important book is the comprehensive and authoritative independent consensus report of the British Nutrition Foundation's Task Force on Obesity. 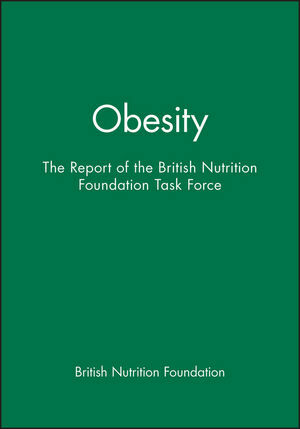 The Task Force was invited by the Council of the British Nutrition Foundation to review the present state of knowledge of the causes, consequences, prevention and treatment of obesity, and to prepare a report and should it see fit, to draw conclusions, make recommendations and identify areas for future research. Obesity is an authoritative and definitive landmark publication covering all major aspects of this vitally important condition. Bringing together a huge wealth of research information from a wide variety of disciplines, in a well-presented, clear and carefully-edited format, Obesity is an indispensable guide for all personnel involved in the prevention and treatment of obesity, or for those studying and researching in this area. 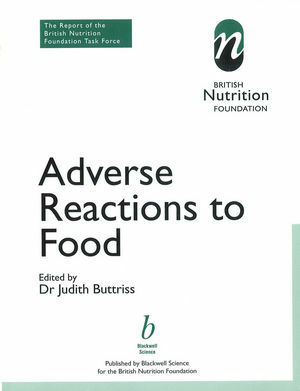 The book provides comprehensive coverage of the health risks of obesity, clinical assessment, epidemiology, aetiology, prevention and treatment of obesity. Furthermore, the Task Force makes important recommendations, which should be considered by all those involved in this area. Obesity provides core information for health professionals, including nutritionists, dietitians, nurses, family or general practitioners, physicians and sports scientists, and lecturers, undergraduates, postgraduates and postdoctoral researchers in nutrition, dietetics and related subjects. Personnel in the pharmaceutical and food industry responsible for development of special dietary products and medicines designed for use in prevention and treatment of obesity as well as those involved in health promotion will find this work to be an extremely valuable reference. Obesity should also be available on the shelves of all libraries in universities, medical schools and nutrition, medical and food science research establishments. 1. Introduction (Dr Michele Sadler). 2. Health Risks of Obesity (Professor John Garrow). 3. Clinical Assessment of Obesity (Professor John Garrow). 4. Epidemiology of Obesity in the UK (Dr Ann Gehily). 5. Aetiology of Obesity I: Introduction (Dr Andrew Prentice). 6. Aetiology of Obesity II: Genetics (Professor Peter Kopelman). 7. Aetiology of Obesity III: Critical Periods for the Development of Obesity (Dr Mary Flynn, Ms Gail Goldberg, Dr Andrew Prentice, Dr Tim Cole). 8. Aetiology of Obesity IV: Metabolic Factors (Dr Andrew Prentice). 9. Aetiology of Obesity V; Macronutrient Balance (Dr Andrew Prentice). 10. Aetiology of Obesity VI: Appetite Control, Physiological Factors (Dr Andrew Prentice, Dr James Stubbs). 11. Aetiology of Obesity VII: Endocrine Causes (Dr Nick Finer, Dr Andrew Prentice). 12. Aetiology of Obesity VIII: Psychological Factors (Professor Jane Wardle). 13. Aetiology of Obesity IX: Dietary Factors. (Dr Andrew Prentice, Dr Susan Jebb). 14. Aetiology of Obesity X: Food Choice, Food Policy and Eating Patterns (Dr David Mela, Professor Christopher Ritson, Ms Sharon Kuznesof). 15. Aetiology of Obesity XI: Physical Inactivity (Professor Kenneth Fox). 16. Significance of within Person Weight Variation (Professor John Garrow). 17. Prevention of Obesity (Professor John Garrow). 18. Treatment of Obesity I: Introduction (Professor John Garrow, Ms Mary O'Kane). 19. Treatment of Obesity II: Dietary Treatment of Obesity (Professor John Garrow, Ms Mary O'Kane). 20. Treatment of Obesity III: Physical Activity and Exercise (Professor Kenneth Fox). 21. Treatment of Obesity IV: Behavioural Treatment (Professor Jane Wardle). 22. Treatment of Obesity V: Pharmacotherapy for Obesity (Professor Peter Kopelman). 23. Treatment of Obesity VI: Surgical Treatments (Professor John Garrow). 24. Treatment of Obesity VII: Resources and Evaluation (Professor John Garrow). 25. Suggestions of Further Reading. 26. Recommendations of the BNF Task Force on Obesity. Appendix : Answers to Questions from medical journalists.